ZAMBIA — A young missionary couple has been killed in a plane crash in Zambia, Africa. Jay and Katrina Erickson of Spokane, Washington died Saturday afternoon when their six-passenger Cessna struck an electrical pole and crashed into the Zambezi River. The couple was returning from transporting a nurse that works at Chitokoloki Hospital, where the Erickson’s serve. 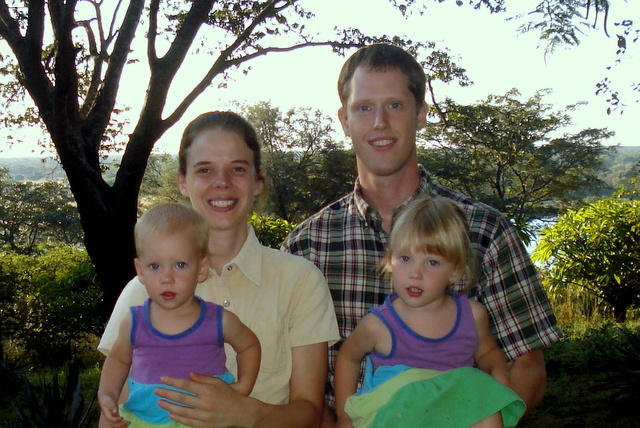 The Erickson’s had begun ministering in Zambia in February of this year, transporting food, medical supplies and personnel to and from the hospital. Jay was a trained aircraft mechanic and was said to have a love for flying. “I have been pondering the concept of death since arriving at Chitokoloki,” Jay wrote in April on the family’s blog, Mission Flying. “Living next door to a bush hospital, we hear quite clearly the wails of mourning with each death. … It warms my heart to hear the frequent and fervent preaching of the gospel here,” he said. The couple leaves behind two small daughters, ages three and eighteen months. It is reported that the grandparents of the children have flown to Zambia to be with the girls, and that they will bring them back to Spokane to live with Jay’s parents. Jay had made other flights that day without issue. The ride was Katrina’s first since arriving in Zambia. They have been buried on the grounds of the hospital mission.